There’s a lot of spotlight on Samsung’s latest smart phones, the Galaxy Note 5 and the Galaxy S6 Edge. The South Korean Company has hit a rough patch early this year and has been busy finding ways to improve the brand name. The company is in dire need of a successful device that places the company back on track and raises profits. For the past few days, the Galaxy Note 5 and the Galaxy S6 Edge devices have gathered a lot of attention from tech geeks and reviewers alike. Here is what Issa Asad Florida-based entrepreneur has to say about these devices: “These devices just might be the ones Samsung has been looking for!” Mr. Asad is a top CEO of 2 companies located across South Florida, including Quadrant Holdings and Q Link Wireless. There has been a lot of confusion around these similar looking devices and here we are to break down your doubts and help you understand where each of them stand. Here are the top 3 differences between the Galaxy Note 5 and the Galaxy S6 Edge. This would be the perfect feature to start with as this clearly differentiates the target markets for both the devices. The Note 5 is the next member in the Note family after the Galaxy Note 4, which includes a massive redesign. The fact that it is named “Note 5” reveals that it is a device targeting the business users. 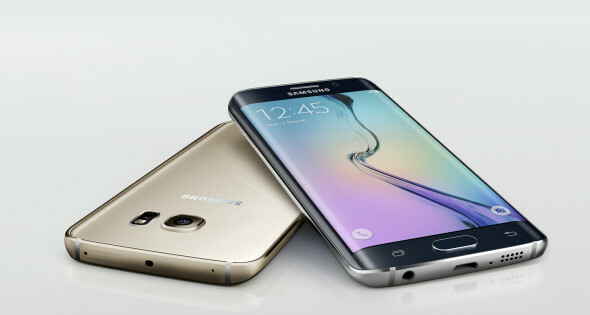 On the other hand, the Galaxy S6 Edge+ is a similar device but is a blown up version of the existing Galaxy S6 Edge. Being a successor of the “Edge” family, it is primarily a consumer device. When it comes to the Screen size and the pixels, both the devices share the same specifications: a 5.7-inch screen and 1440 x 2560 pixels (515 ppi). Also, both feature the tough Gorilla Glass 4. Looks all the same, right? Actually this is the biggest differentiator in design between the two devices as the Note 5 features a normal flat display while the S6 has the dual curved display. The devices have the same panel technology making them the best smart phones in terms of display in the market. On a lighter note, the Edge+ looks quite cooler than the Note 5, at least at the first glance. While the display is one critical area where the Note 5 and S6 Edge+ differ, another equally important distinction comes in the software used in them. In spite of the awkward design changes, the Note 5 retains its position as a business device. The software mainly features aspects pertaining to productivity and a smarter UI. The Note 5 also comes with an S-pen that has been marked the best stylus in the smart phone world. On the contrary, the S6 Edge+ lacks both the stylus and the productivity software and remains as a consumer device. The key features that are present in the S6 Edge+ that are absent in the Note 5 are the Night Clock: time displayed on the edge at night, Edge Lighting: custom lighting on the edge when favorite contacts call, and People Edge: top right corner swipe bringing up the favorite contacts etc. When asked to pick between the two, I’d be inclined to pick the Galaxy S6+. The only difference between the two devices is the stylus that is present in the Note 5. Apart from that, both the devices offer the same hardware and software experience.